Finding a dentist is not a big deal however finding a quality, experienced dentist with comfortable rooms can be challenging, especially due to the number of options available to choose from. There are various kinds of dentists available today including orthodontists, cosmetic dentists and the traditional dentists. Each of these are experts in a particular field and therefore, it is important for you to make sure that you are able to find a dentist who is an expert in dental issues affecting you personally. Another important thing you need to keep in mind is that going to the dentist who is closest to where you live isn’t the right way to go about choosing a dental office. You need to make sure that they will satisfy your needs. So, follow the tips mentioned in the article below in order to find the right dentist for your needs. First and foremost, you need to prepare a list of dentists that are easily reachable allowing you to visit the dental office on your way to work or home. Many people avoid visiting a dentist when they have to go out of their way in order to reach the dental office. Therefore, approachability is extremely important. To prepare the list, you may search online in order to find dentists near you. You should also ask for recommendations from your friends, co-workers or family members as well as your neighbors. If you are active on social media, you may also get help from others in your circle on social media. People like to advocate dentists they like. In this manner, you should be able to find a good number of dentists who come highly recommended. It is recommended to choose a dental office that is member of the Australian Dental Association. Members of this association are required to abide by a code of conduct that is defined by the Dental Association. This professional code of conduct ensures that dentists follow certain guidelines while providing dental services. 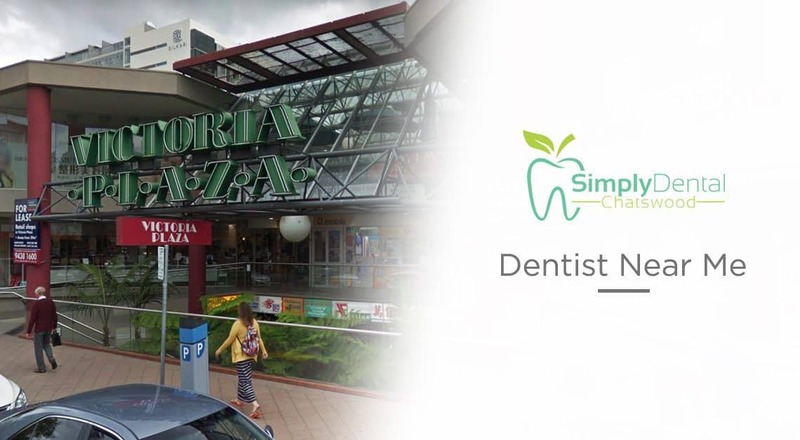 Therefore, when you are going through the list of dentists near you, the first thing you need to check is whether they are member of the Australian Dental Association before you dig further. Needless to say, you do not want to put your oral health in the hands of an inexperienced dentist. Therefore, do not forget to read about the expertise and experience of the dentist before you visit their dental office. For instance, if you want the services of a dentist for some cosmetic dentistry work, it is important that you go to someone who has a number of years of experience in that particular area of cosmetic dentistry. You want to work with a dental office that accepts insurance cards. Without insurance, you will have to spend a lot of money on dental work. Many people do not seem to be aware of the fact that in Australia, the dental care costs are one of the highest in the world. Therefore, make sure you go to a dental clinic that accepts your insurance card or you will need to pay out of your own pocket for your dental care. Almost all the dental offices have a professional website these days. It has become a necessity and a professional looking website that provides all the required details to visitors also tells a lot about the characteristics of the dental office. Ideally, you should be able to get all the information you need including contact details, transparent costs, outline of treatment provided and other such things. If the website is poorly managed or has outdated information, it also tells you a lot about the people behind the organization and ideally, you should avoid visiting such dental offices. Before you set foot in a dental office, it is important that you check their reputation online. There are several dedicated forums where you can find reviews from real users. Similarly, you should be able to find a lot of information regarding the quality of work done by a particular dental office on various social media platforms. You should also carefully check the website of the dental office to make sure they have appropriate testimonials as well as examples of their casework. Almost all professional dentist usually have before and after pictures of their clients. In addition, dentist usually also have a few videos in the form of testimonials from their customers. So, take a look around and make sure they have a good reputation before you visit their office. In addition to the above, you should also check for their reviews on various review websites. In addition to the general review websites, there are also a few review websites dedicated to quality of care provided at various dental offices. Check the reviews of the dental clinics in your list on such review websites before you choose a dental clinic. One of the hallmarks of a good dentist is that their practice makes you feel welcome. For instance, they usually have welcoming front desk staff and comfortable waiting rooms that put everyone at ease before you meet the dentist for your appointment. Before you choose dentist for the long haul, it is important that you visit their offices for an initial consultation. It will give you a good idea of the experience of the staff present there and will ensure that you are working with the right dentist. Some dental offices are always trying to sell you the costliest or the latest fad in the market. You should stay away from such dental offices, especially if you do not feel the warmth or comfort that you expect at a dentistry practice. Overall, you should not choose a dentist only on the basis of distance from your place of work or home. Their location should be easily reachable but you also need to pay attention to the several important factors mentioned in the article above in order to make sure you are working with one of the best dentists. So, pay attention to the experience, reviews, testimonials, insurance acceptability and other important factors before choosing a dentist.